Bayern Munich midfielder Corentin Tolisso does not know if he will be reunited with World Cup-winning France team-mate Benjamin Pavard at the Bundesliga champions. 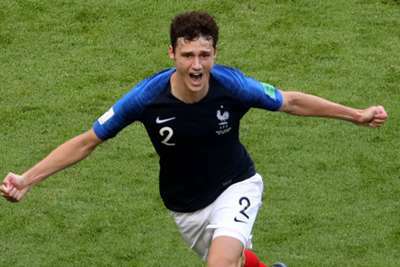 Stuttgart defender Pavard has been linked with Bayern following his exploits in Russia, where France claimed their second World Cup title. Back on club duty in Bavaria, Tolisso revealed he discussed the rumours with Pavard during Russia 2018, but he has no idea what the future holds for the 22-year-old. "I don't know if he will come this year, next year, or one day to Bayern Munich," Tolisso said. "I'm like everyone else, I can see the rumors on Twitter: 'Benjamin Pavard to Bayern Munich'. "I made jokes to him [during the World Cup], but I don't know if he will come or not. I said to him, 'Are we going to go back together? Are we going to play together next year?' But he laughed every time. 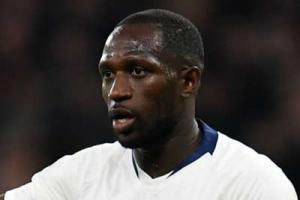 "He said nothing to me so I don't know at all if Ben will be with us this year, next year, or one day at Bayern Munich." Tolisso also discussed Arturo Vidal after the Chile international swapped Bayern for LaLiga champions Barcelona. The 24-year-old spent a season alongside Vidal and he said: "It's always difficult to lose a good player, a very good player and Arturo was a very good player. "When I was younger, when I was not a professional player and he was already playing at Juventus, he was a model for me. It was a modern midfielder who inspired me. He scored a lot of goals and defended very well. It was the kind of player I wanted to become. I became professional, I could play against him when I was in Lyon and he was at Juve. "When I arrived at Bayern Munich, he became my contestant. We can no longer speak of a model but of a competitor, but of course, he was someone I observed a lot, in his way of going forward on the pitch and defending. He was someone who was very aggressive. It's on this point that I want to progress, on ball recovery and aggressiveness."